Evoma being a venue provider for all kinds of corporate meetings, conferences, training sessions and events, we follow a strict protocol for hosting events exactly per the client’s needs. We work with MICE executives as well as event managers to organize and run a flawless event that increases the chances of it being a successful exercise. But in order to do this, you need to start with an event planning checklist, list all the steps you need to take for each goal of your event, and then check them off one by one as per schedule, as described below. 1) What type of event? What will be the requirements, fix a date, location and a tentative number of attendees. 2) How many attendees need to stay, and what is the duration of stay? Choose an event venue near the official event hotel. Better yet, find a business hotel that provides event space as well as facilities for business travellers such as executive suites with room service, meeting rooms, audio-visual equipment, airport pickups, gym, swimming pool, etc. If you have a large number of attendees who will be staying over, you can get a good deal from the venue partner. Evoma offers great deals for conference and event guests who book hotel stays while confirming their attendance for an event that is being held at our business hotel in Bangalore. 3) Decide about the nature of the event – Conference, exhibition, training sessions and workshops, induction programs, team building exercises, corporate retreat, etc. Knowing exactly what type of event you want to host will help check and incorporate recommendations from venue partners. 4) Draft an agenda with the requirements that must be met, in terms of meeting rooms, board rooms, catering, banquet hall, etc. 5) Come up a detailed budget, with a breakdown of costs for each item on your checklist. 1) Event venue site selection begins with putting out RFPs (requests for proposals) that specify the desired criteria that must be met by the location and event venue. For example, a training session for employees of a company in Whitefield should look for a suitable training venue near Whitefield, such as Evoma, that is easy to access for all attendees. We provide everything from event halls of different sizes to a professionally staffed reception and front-desk service, meeting rooms and board room with A/V equipment, catering, snacks, tea and coffee, a full-service dining restaurant, and event management services. 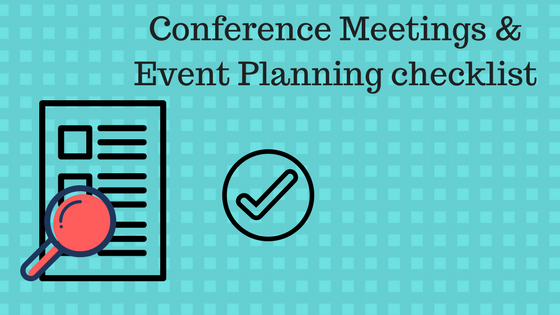 2) Book the venue and share the agenda and requirements in detail. 3) Negotiate and finalize the terms and conditions right away. 1) Start sending “Save The date” invites to all attendees. 2) Finalize and fix the program. 3) Organize transportation if required. 4) Check and fix speakers, panelists, etc. as per event. Hire the entertainment, if required (Evoma event managers can help you with this). Contact your venue partner for custom requirements regarding team building exercises or business networking events. 5) Come up with the marketing creatives and brochures. 7) Finalize gift hampers and goodie bags for VIPs and attendees. Venue partner can be helpful with preparing this and delivering it. 8) Decide on strategy for publicity, social media strategy , PR, etc. for the corporate event. 9) Create a custom event invite/website planned and send invitees a link to it. 1) Start planning your catering menu with your venue partner / conference hotel. Evoma offers a variety of menus, cuisines and food themes for specific types of corporate events which can be modified as per budget, food habits or personal preferences of attendees. 2) Room setups and all requirements in the rooms to be checked. 3) If your guests are residing at the same venue, give the list to our staff for better care. If at another hotel, coordinate your transportation to and fro. With Evoma as a venue provider as well as business hotel, guests can use all the facilities available with our great staff to help out. 4) Check the room booking status and notify hotel for VIP attendees. 5) Room decor if required should be finalized. eg: florals, linen, furniture, etc. 6) Reminder for attendees with complete event information, agenda, transportation details, extra information such as dress code, etc. 7) Arrangement checks for all gifts, return gifts, amenities, signage, etc. 8) Arrange for all registration kits and hand them to hotel staff to provide to attendees as a welcome kit. 1) Confirm counts of attendees to the hotel, caterer and venue partner. With Evoma as the venue provider, all of it can be taken care of by us. 2) Confirm all deliveries and pickups. Send all material to hotel and venue. 3) Mail out event press release, and list it on event sites such as eventbrite. Make the event public, distribute the press release to journalists, bloggers, event partners, sponsors, etc., and check for coverage. 4) Check all the arrangements at the meeting room / board rooms again. Share presentation materials, videos and checklist with hotel A/V team. 5) Walk through the detailed flow plan with hotel and venue partner. 6) Keep a hardcopy of all these details, which should be easy to access. 1) Meet hotel and review all event details. 2) Check for all decorations and arrangements before guests arrive. 3) Take a walkthrough of all rooms, meeting/board rooms, venue, VIP rooms and all spaces which your event will be needing. 4) Ensure all the timings and location for events are displayed correctly and clearly. 5) Do test run of A/V presentation. 6) Set up registration kits, if any. 7) Be there to greet and meet as the guests/ attendees arrive. Help them to settle in if they are residing there itself. 8) Check and approve daily banquet orders. If it is a personal event, check for all stays and check in at hotel and transportation to and fro. 1) Ensure all check outs are done on time and check with hotel for all the bills. Cross check them and settle. 2) Write thank you note to speakers, staff and others as suitable. 3) Check all the returnable items and organize shipping of the same. 4) Request feedback from all as per requirement. 5) Provide feedback to hotel, venue partner, caterer, etc. Mention and identify associate who provided excellent service. 6) Fill in surveys if required. 7) Keep notes of what worked well and what didn’t for future arrangements. 8) Relax and take a breather. Note that this is a generic guide, and may not apply to all kinds of MICE arrangements, as every event is different and special in its own way. Have this handy checklist just to refer and transform it as per necessity and handiness.